When UC Santa Cruz was born on 2,000 acres of meadow and forest in 1965, it was with the idea that if there was a boundary, it needed to be pushed. Innovation was in. Stodgy, siloed academia was out. Anne Kapuscinski, whose work on sustainable aquaculture may one day upend the way fish are farmed. These new faculty members arrived on campus late last year, each with a résumé of pioneering work and a plan to focus on game-changing issues. Batalha will head a new astrobiology institute that will bring together biologists, astronomers, bioinformaticians, anthropologists, artists, and communicators not only to look for evidence of life on other planets but also to explore what that reality might mean for humans. Julien, a pioneer of New Queer Cinema in the late 1980s and early ’90s and whose powerful works explore race, sexuality, immigration, and capitalism, will lead the Isaac Julien Lab, where students will study the technological, creative, and practical skills needed to be a working artist and also produce their own projects. Kapuscinski, who has created a sustainable way to feed a species of farmed fish using combinations of marine microalgae, and is chair of the board of directors of the Union of Concerned Scientists, will lead the campus’s new Coastal Science and Policy graduate program. She also will set up an aquaculture lab on the UC Santa Cruz Farm that will link farming in water with farming in soil, thereby improving the sustainability of food production. The trio’s hiring came as the university was putting together its Strategic Academic Plan. As it turned out, Tromp said, the three hires “fit beautifully” into the academic priority areas—Earth Futures, Justice in a Changing World, and Digital Interventions—which were later set out by faculty, staff, students, and administrators as part of the Strategic Academic Plan. “They (the new faculty) really describe who we are as an institution,” Tromp said. The historic mission found 4,000 extrasolar planets but perhaps most importantly, it also discovered that a few dozen were in what was called the “Goldilocks Zone,” the sweet spot where conditions made it a possibility that life could be found. 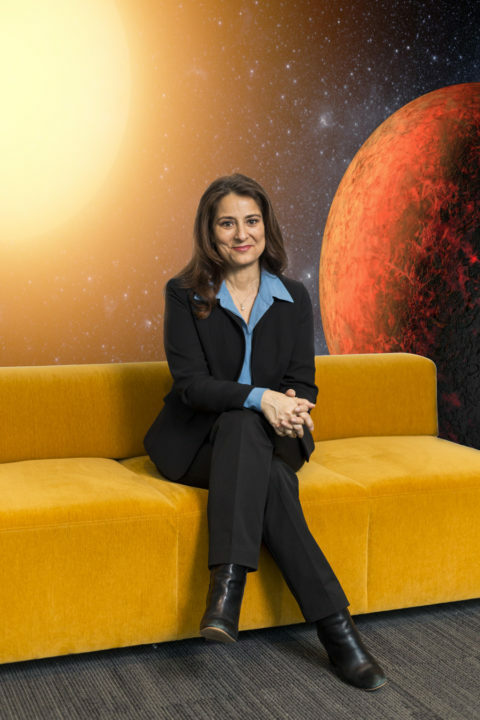 “Kepler catalyzed the search for life on other planets by demonstrating that potentially habitable worlds are common and expected to orbit relatively nearby stars,” said Batalha, who got her Ph.D. in astrophysics from UC Santa Cruz in 1997. But with Kepler’s explorations completed, Batalha decided the best way to expand Kepler’s legacy was to move to academia, where she will use data from Kepler and other missions— including the James Webb Space Telescope, which will launch in 2021, and the TESS mission, which launched in 2018—in her ongoing search for life beyond Earth. When and if life is found, Batalha said, it also will be important not only to look at the impacts on society of having that knowledge but also to understand the ethical implications of what to do with it and how to be good planetary stewards. To that end, she also hopes to draw in anthropologists, philosophers, artists, and science communicators to the new astrobiology institute to delve into those questions. “This wonderful interdisciplinary project that will think about what it means if we find life on other planets should transform the whole campus,” said David Belanger, acting dean of the Division of Physical and Biological Sciences. “I just felt like this was a natural transition in my career,” Batalha said. 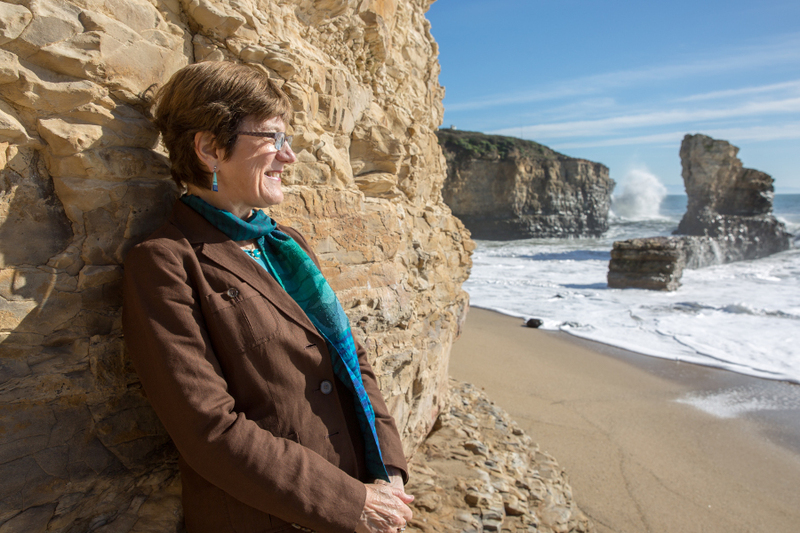 “I thought about what legacy I wanted to leave in the next chapter of my life, and I thought a return to academia to start an astrobiology institute at UC Santa Cruz was a compelling opportunity. 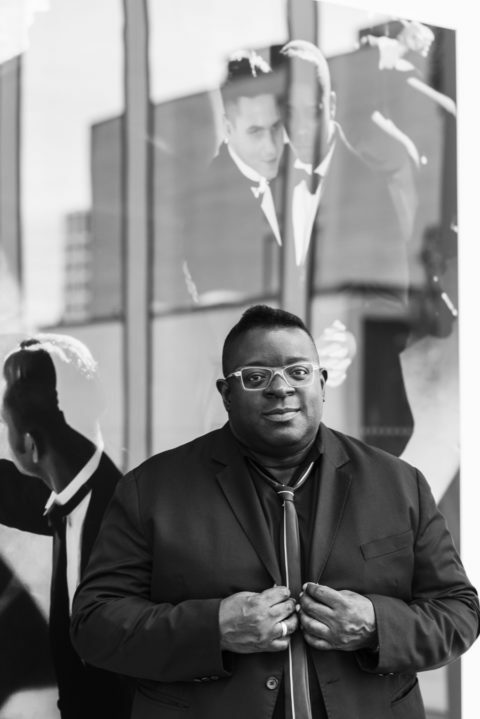 Isaac Julien, Arts Division. Photo courtesy Isaac Julien. In 1989, Isaac Julien screened his lush and powerful documentary drama, Looking for Langston, about American poet Langston Hughes. The Teddy Award–winning movie explored what was then a hidden history, that of the black, queer experience in 1920s Harlem, and also cemented Julien’s place at the forefront of the New Queer Cinema movement. Considered radical at the time, Julien’s work—and that of other filmmakers—eventually paved the way for mainstream movies like the critically acclaimed 2005 Brokeback Mountain and 2016’s Moonlight. But Looking for Langston also marked the beginning of what would become a remarkable career for the London-based Julien, who explores issues of sexuality, race, capitalism, and immigration through film, photography, sound, and space. caught and drowned by an incoming tide. His 2004 work True North tells the story of Matthew Henson, the first African American to reach the North Pole. Julien’s arrival on campus isn’t the first time the artist has been at UC Santa Cruz. In the mid-1990s, both he and his partner, Mark Nash, taught in the History of Consciousness Department while they researched their film on the Martinique-born revolutionary and writer Frantz Fanon, Frantz Fanon: Black Skin White Mask. This time, however, Julien will lead a hands-on graduate program at the Isaac Julien Lab, where students will study theoretical and philosophical concepts along with digital-imaging skills and learn the practicalities of life as an artist before working on their own projects. Julien will be joined by Nash, whose extensive international curatorial work, film and video scholarship, and teaching experience will add significant additional reach to the university’s Arts Division. The program will also include a semester at Julien’s London studio. Julien, who is at work on a new installation based on the life of Frederick Douglass that he hopes to show in Santa Cruz, said he and Nash “formed long-term friendships” during their earlier sojourn in Santa Cruz, “and it is a pleasure to resume those.” He also was drawn by the campus’s offer to develop an artist-run lab. Interim Arts Dean Lori Kletzer said Julien’s hire is an important one for the university. “On a campus known for its commitment to equity and justice, the opportunity for our community of students and faculty to collaborate with Julien—whose film and video installations for galleries and museums incorporate a range of practices including film, photography, video, performance, literature, theory, and history—will be transformative,” Kletzer said. Seven years ago, Anne Kapuscinski saw a real-world problem and decided to see if she could solve it. Fish farming, or aquaculture, was exploding in size but so were the ecological issues around it. they release more nutrients, a potential pollutant, into the water in which they were raised. Anne Kapuscinski, Division of Social Sciences. Photo by C. Lagattuta. microalgae to replace fishmeal and fish oil in the food pellets. The team’s next aim is to replace soy and corn in the pellets. Now, Kapuscinski will not only bring her sustainable aquaculture research to UC Santa Cruz but also will help train new leaders in coastal sustainability solutions as part of the university’s graduate Coastal Science and Policy Program. lab, which will be placed on the UC Santa Cruz Farm—30 acres of rolling land with a reputation as the mothership of organic farming. to fertilize and irrigate plants. 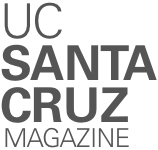 For more information about UC Santa Cruz’s new Strategic Academic Plan, visit sap.ucsc.edu.